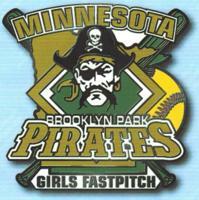 BPAA Fastpitch is a sub-committee of the Brooklyn Park Athletic Association, a non-profit organization comprised of all volunteers. The purpose of BPAA is to benefit the physical, mental, moral, and character development of its members and of the youth in our community by providing major sports programs and activities for boys and girls, regardless of ability or financial status. Parents can order fan wear that can be ordered online until April 15th. Orders will be ready the first week of May and can be picked up directly from the Sota Shop. The Brooklyn Park Athletic Association is excited to welcome girls of all ages into the program, no matter their experience with the fast pitch game or softball in general. Look for more information soon on registration for the upcoming 2019 summer program!